Located on a ridge overlooking the snow capped peaks of the Eastern Himalayas and accessible through a narrow ramp from the Nehru Road, Planters' Club (or Darjeeling Club as it was originally named) is one of the oldest clubs in this part of the world. It was established in 1868 during the colonial days by the British Tea Planters. Although today it provides 2-star accommodations to members and tourists, the original patrons were those visiting from the Dooars and Terai regions, as well as government officials and the officers of the British Indian Army. 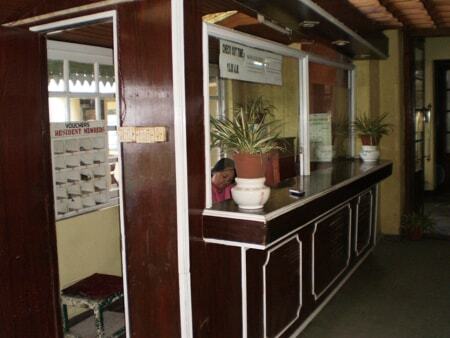 The club was built for the planters and their wives to enjoy the cool climate of Darjeeling. It was a meeting place for the planters and an escape for others. There were gala evenings when black tie was mandatory and sit down dinners were served with aplomb. As the number of members increased, a limited company (Darjeeling Club Limited) was incorporated in the year 1907. Today there are around 550 members and the club is affiliated to 103 other clubs across the country. However, tourists can also book the rooms and enjoy all the amenities in the club, but they require a temporary membership which is readily given for a small fee. As you walk up the ramp from the upper Clubside Taxi Stand (across Gandhi Road Police Point), you will see the large open patio of the club. The slopes and the potted plants when in bloom provide a lovely backdrop to the walkway and around the club. There are cushioned wrought iron chairs and marble tables in the open space, and large cane chairs in the adjoining veranda where you can sit and watch the unabated view of the snow peaks and Kanchenjunga. Some members come and sit here only to watch the world go by. On one side of the veranda there are couple of grand lounges, a billiard room, and a conference room that can accommodate 90 persons. The lounges have furniture of antique Victorian style. There are sofas, TVs, fireplaces. Several preserved animal heads hang from the walls. 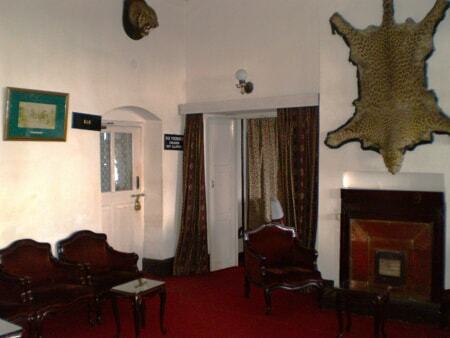 In the larger lounge, there is a full spread-out skin of a leopard stuck on the wall (you can see that in my picture below). The lounge has original Snaffles paintings dating back to the early 1900s gifted to the club by D.G. Smyth Osborne, the then MLA. The lounge area can be used for private parties. There is a well stocked bar that can be accessed from the lounge that has sofas and bar stools. Children are not allowed in the bar. The billiard room is a showcase of memorable and historical photographs from the third Mount Everest expedition that met with an unfortunate end. Incidentally the expedition which was led by Irvine and Mallory started out from this very club in 1924. The two oxygen cylinders on display bear the silent witness to the tragic journey. Walk along the wooden floor of the veranda and you will reach the reception counter, a glass cubicle where a lady sits during the day time. The check out time is 10am. Next to the reception area, there is an exclusive seating area 'Quarter Deck' for the members that has great views of Darjeeling's landscape. Here there is a World War I Gattling Cannon gifted to the club by Col. Younghusband before he left Darjeeling, leading the first British expedition to Tibet. At the end of the passage and after the reception, there is a restaurant. The restaurant space is given out on lease and privately run. Earlier there were multi-cuisine restaurants such as Taja's and later Chimney operated from this area. Unfortunately they could not continue for long and had to close down. 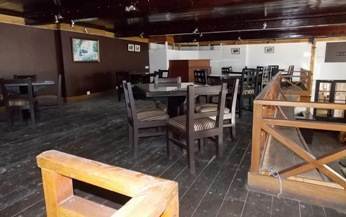 Now there is a new restaurant (Opium) that has come up in 2011 October which is owned by Mr. Lama, a local of Darjeeling. It has a bar below and a separate seating section in the mezzanine floor that can be accessed through an wooden staircase from the lower floor. The restaurant is also open to public who can access it through a separate door from outside. Before the entrance to the restaurant, there is an wooden stairway that goes upstairs to the rooms. The wall on the stairway is half wooden paneled. The stairs are covered with red jute carpets. Signs of aging are clearly visible. The carpets don't seem to be well maintained and torn at places. If you look around the staircase, walls are damped and cracks are visible. There are 17 rooms in the Planters Club - 7 VIP Suites, 8 Super Deluxe Rooms, and 2 Deluxe Rooms. All have their own fireplace, attached bathroom with geyser providing hot water when there is power, television with standard satellite channels etc. Room no. 1 is the first room on the upper floor. Room is large, with high ceiling and carpeted end to end. Two single beds are joined together. There are cane chairs and table provided in the room. On one corner, there is an wooden rack with drawers. The metal bucket you see in the picture is used to store charcoals for lighting the fireplace. At the end there is another small and cute dressing room that has an wooden cupboard and a small Victorian dressing table with a chair. The dressing room has its own windows opening out towards the back side. The main rooms are all accessible from the common balcony which has an wooden floor. The view from the balcony is superb. 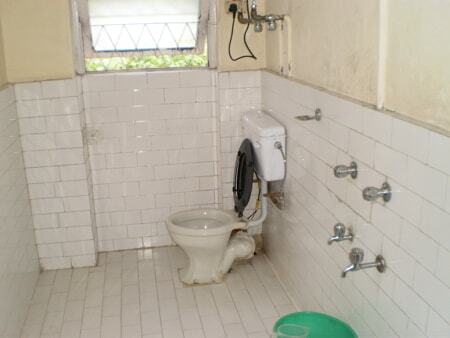 Bathrooms are large as well and tiled on all sides. There is a shower with wall mixer to get hot and cold water. The geyser works when there is power. The club has a standby generator that supports some lights and other essential electrical accessories. Power situation in Darjeeling is quite unpredictable. The room service is friendly and warm and provided by the staff of the club who have been working here for long. You can get tea or coffee served in the room. They also provide hot water bottles/bags during winter. For food, you will need to avail the in-house restaurant or go outside. There is a library that has great collections of books on travel, history, fiction etc some of which date back to 1800s. Other amenities includes a table tennis room, free car park, terrace garden, doctor on call, laundry service etc. Planters Club of Darjeeling is affiliated to several other clubs including Tollygunge club of Kolkata, The Calcutta Swimming Club of Strand Road Kolkata, Chandigarh Club of Chandigarh, Chittagong Club of Bangladesh etc. The location is one of the best in Darjeeling. The Chowrasta Mall is only 5 minutes walk from here. Best of shops and restaurants are all located in this area. A temporary membership fee is charged (one time Rs. 50/- per adult) in addition to the room tariff. There is 20% cover charge for bar, billiards and coal for fireplace. With all the memorabilia representing the British colonial times, the club has a great aura of history and heritage, and certainly has a classical touch. However, the only negative side is the maintenance. As I mentioned earlier, there are degrading signs of aging. Damps and cracks are visible in many places. 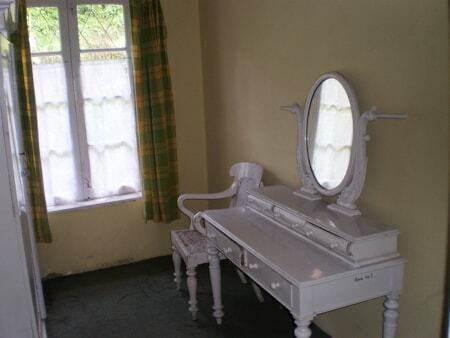 Most of the room furniture are quite old. Seems like the bed covers haven't been replaced since long. Update December 2018: Planters Club has remained closed over the past one year since a major renovation work was taken up to add modern amenities while retaining the old character and style. The work is still in progress and it is likely to take considerable amount of time to complete the job. There will be 31 modern rooms in the renovated property including VIP rooms and Deluxe rooms. A bar, a lounge and a kitchen too would be added. The rates are likely to double. Planters' Club (Darjeeling Club Limited) is located at the base of Nehru road near the upper Clubside Taxi Stand (across Gandhi Road Police Point). There is a short ramp from the road that leads to the club premises at an elevated land. Nehru Road leads to the Chowrasta Mall through glittering shops and restaurants. It takes less than five minutes to reach the Mall by walk. 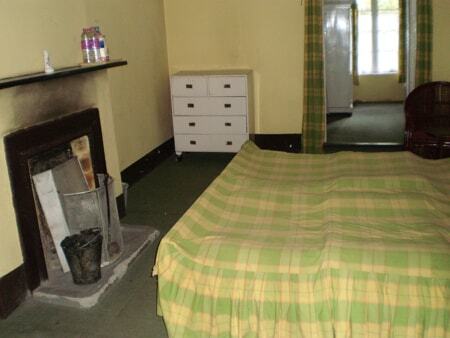 7 Nehru Road, Darjeeling 734101, West Bengal, India. 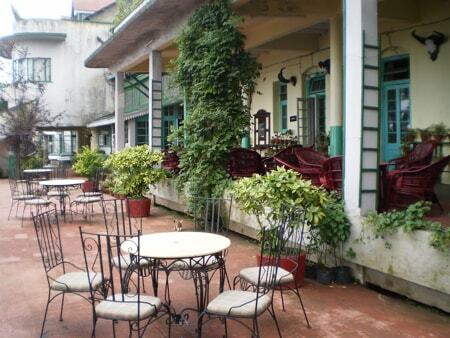 1) Check out Darjeeling Top 2-Star Hotels for the best mid priced accommodations in Darjeeling. Hi Raj, Enjoyed your article on Planters Club. Sorry to hear that it has become a 2 Star rated place in Darjeeling. In the early 70s it was the place to stay apart from Winermere Hotel and Mt. Everest hotel. It was so central - on a clear day it had a great view of the Kanchenjunga. You did not mention the deck which had a small cannon or was it a heavy duty mounted machine gun from the Boer War. Hope it is still there.. Ladies and children were not allowed!! Remember the Hall Porter who patrolled the area shooing us away if we set foot into the deck. Gentleman enjoyed smoking their cigars there. The Club Secretary was Ms Widen who ran a tight ship!! Morning Tea was severed with warm toast and butter. I still start my day with the same! Hi, the deck is still there with the canon mounted on the floor. It's like a small balcony with glass covers all around. I actually found a gentleman enjoying his cigar there, as you mentioned.